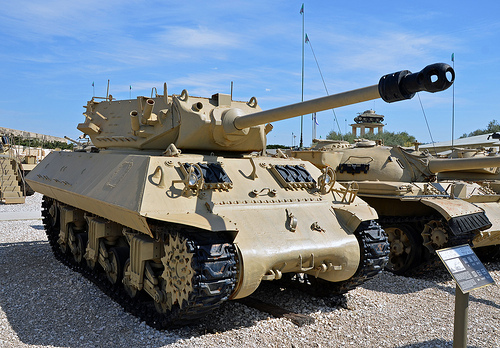 While virtually unknown compared to the by now famous Israeli Shermans that were operated for years after WWII, Israel also operated for a time the American M10 Gun Motor Carriage, known by the British as the Achilles. These tank destroyers were acquired as part of a plan to have organic Anti-Tank platoons attached to the infantry battalions, a concept which was abandoned sometime in the early 1960s after Israel Tal’s ideas for pure tank units were adopted. However, while the M10’s service in Israel was brief, it is no less interesting. The initial shipments of M10s were acquired much the same way as the Shermans, being bought from scrapyards and depots in Europe. In this case, the first batch of 21 were bought from the UK in 1951, with the first 6 of these arriving in January of 1952. The prognosis however, wasn’t good. The original 3″ guns were worn through and were missing their breech blocks, as well as all of the engines either needed extensive repairs or outright replacement. So these vehicles sat more or less untouched until 1953, when some 17-pdr cannons were acquired from the UK with the goal of rearming the M10s. This wasn’t without its own drawbacks however, as the first M10 trialed with the 17-pdr suffered a serious malfunction, although no further information is given as to what this malfunction might have been. 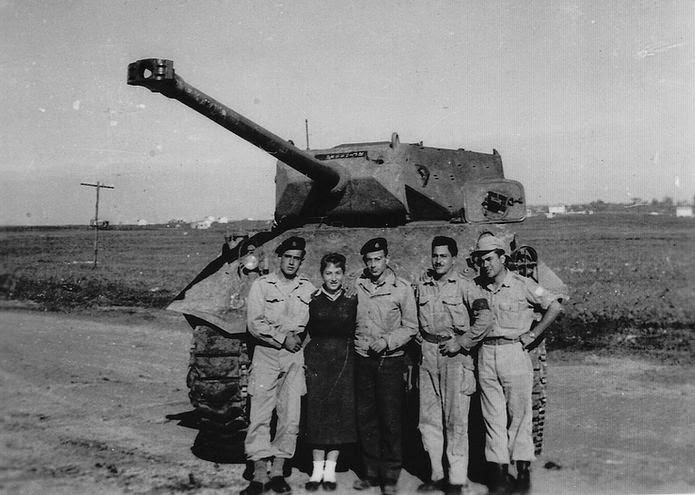 In any case, that same year, 1953, Israel had decided to acquire its first real “modern” tank in the form of some AMX-13 light tanks from France. These tanks were armed with the fairly powerful 75mm CN-75 50 cannon, and Israel also acquired 20 or so of these cannons for rearming their existing M10s and eventually, their Shermans. In any event, it’s unknown exactly how many M10s Israel ever had in service given the issues that plagued the M10, although some estimates seem to indicate as many as 100 had been acquired by 1960. Whether all of these entered service or not is impossible to determine. Making it harder is the fact that M10s equipped with the French 75mm CN-75 50 were not only labeled as M-50s, but were counted towards the number of total M-50s, further complicating matters. What is known is that all M10s, both the “M-50” 75mm CN-75 50 armed models as well as those armed with the 17-pdr, were withdrawn from service in 1966, having never seen combat in their roughly 15 year life with the IDF. Not really. I disagree completely with the actions of the Israeli government but I don’t hate the Israeli people because of it. If the m50 was brought into world of tanks, would it be a french, US, or brittish tonk? French premium more than likely. Why wouldn’t it be an Israeli vehicle? Israel has enough vehicles to make a full tech tree after all. not in this particular era i dont think. Post-war they definitely do yeah but during the war, most of the vehicles used are american/french/british imports iirc. Also, this would require WG putting in a new tech tree, and we know how often that gets done. Why wouldn’t it be a regular Israeli vehicle? Israel is more than capable of making a full tech tree. The M50 is in now more or less as the French tier 8 premium M4A1 Sherman Revalorise which was the prototype for the M50 Sherman. The M-51 you mean. And if Wargaming would ever bother to fix the engine on the Revalorisé to its historical Continental R-975 radial, it would be more different to the Israeli M-51. So Life_In_Black why don’t you propose the M10 75mm for the game as a French premium Tank destroyer of the Tier 5 or Tier 6? If we take the closest relative to the 75mm CN 75 50 gun it would be the AMX 13 75’s gun with 144mm (202 gold)of penetration and 135 dmg. Also, why on earth would want it to be a French premium? It’s bad enough the M4A1 Revalorisé should have been an Israeli premium but Wargaming were too goddamn greedy and lazy to care about even getting the vehicle historical let alone putting it in the right nation’s tree. Its a Israeli modification so it fits more in an Israeli tech tree.